Michael Carter is an Australian dancer based in Europe who began his dance career at the Australian Ballet after graduating from the Australian Ballet School. Following stints with Leigh Warren & Dancers and the Sue Healey Company, Carter left Australia to join the Ballet Victor Ullate in Madrid, Spain, and in 2007, the Compañía Nacional de Danza under the direction of Nacho Duato. For the lucky few who experience such success both at home and abroad, this would typically mark the final stop of a laudable and diverse career. However, Carter found himself disillusioned with being “just a dancer, and not an artist”: a term he associates with having the scope for interpretation and independent decision-making in the creative process, elements more familiar to choreographers and contemporary dancers than dancers in classical and neoclassical companies. His search for fulfilment has now taken him from the relatively warm climate and rich cultural life of Madrid to the Tanztheater Wuppertal Pina Bausch in German, a company still regrouping following Pina Bausch’s passing in 2009. When Carter auditioned for the Tanztheater Wuppertal Pina Bausch he was turned away. On his way home he received a phone call from the confused audition panel wondering why he had left so quickly. Although he did not suit the role they sought to cast on that particular day, they stayed in touch and approximately two years later offered him a contract for the production Masurca Fogo. “It’s a privilege to be there,” he says, not only because he’s benefitting from the extensive stage experience of his more mature colleagues, but also because of the relatively uncomplicated and well-paid working conditions afforded “guest dancers” and freelancers in Germany in comparison to Spain. Although he still calls Madrid home, the bureaucratic minefield associated with freelance work in that country makes him increasingly drawn toward northern Europe. His career is now at a crossroads. He is faced with the difficult decision of either opting for the financial security and routine of a company, or pursuing his own creative vision as a freelance dancer and choreographer. He “has always been happiest freelancing”, and has tried to keep up that aspect of his career in his spare time. His side projects have now culminated in the founding of Cie.OFEN (www.cieofen.com), a company co-directed with fellow Australian dancer, Gala Moody. The pair have worked together before on Australian soil in productions such as Leigh Warren’s and the State Opera of South Australia’s Phillip Glass Trilogy collaboration. Moody is currently working in Brussels in Wim Vandekeybus’s company, Ultima Vez. Michael and Gala’s first work as Cie.OFEN, titled One Final Evolutionary Note, premiered in Umeå, Sweden, in 2014, with the support of Aerowaves’s Spring Forward Festival. Aerowaves is a “cross-border dance performance network” and its annual festival provides performance opportunities for young “priority companies”. The experience proved to be a “real learning process”, Carter says. Firstly, “Aerowaves rarely presents premieres, rather tried and tested works”. This meant that despite never having performed their work in a theatre, Moody and Carter only had “a one hour technical rehearsal and at that moment the technicians had their lunch break!” Their lighting designer “did it live, which he had never tried before”. Secondly, the business aspect of showing at a festival came as a surprise. “One English dance critic was chatting with me after our show and asked, ‘How much does it cost?’ I didn’t understand the question at first, but when I realised he was asking how much it would cost to buy our work. I had to admit I didn’t really know!” After some stern words from the critic Carter was sent off to mingle with dance curators and distributors, which is “what you’re actually there for,” he adds. He and Moody learnt that art works “don’t speak for themselves”, and since then have been trying to “make more noise”. A festival director Carter has contacted confided that she sifts through “hundreds of emails from choreographers every Monday”. Because of the sheer number, “she only replies to those who are persistent”. With regard to Cie.OFEN's dance aesthetic, Carter apologises for being “terrible” at talking about his own creations. To get the ball rolling he refers to a “Spanish critic who was surprised our work didn’t look like something by Nacho Duato”. Rather than generating material in a conventional way, as in agreeing upon a fixed sequence of steps, he and Moody try to avoid “just filling space and time”. Instead they work with an eclectic range of tools and techniques borrowed from other disciplines, such as acting. Unfortunately, in spite of Carter’s desire to show Cie.OFEN's creations in Australia, until now the performers have received “zero fanfare” back home and funding bodies have advised them, he says, “not to waste their time. We just don’t tick the right boxes”. This lack of interest back home is a reality many overseas Australian artists have to confront when they wish to return. That is a pity, because Australian artists would surely reap the benefits of a creative dialogue between artists on the local scene and abroad – as would Australian audiences. 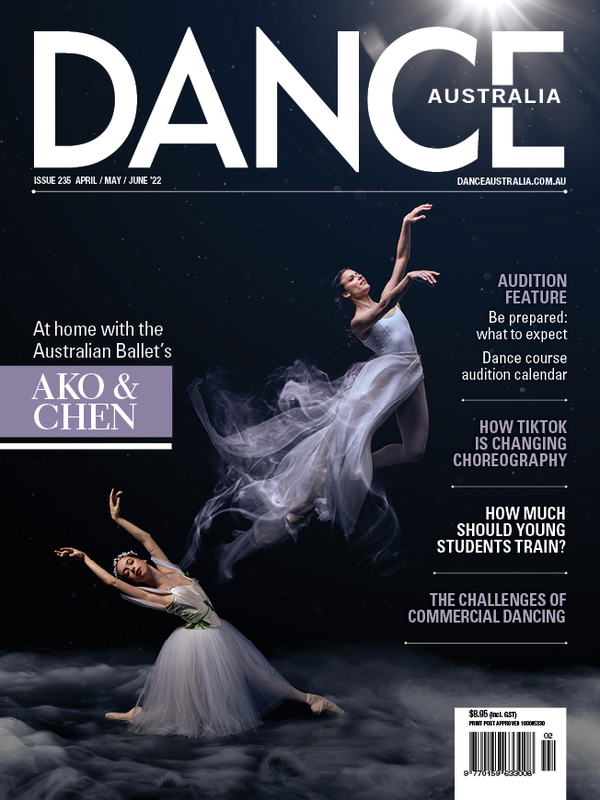 This article was first published in the June/July issue of 'Dance Australia'. Luke Aaron Forbes attended the Victorian College of the Arts Secondary School and completed his dance training at the Ecole-Atelier Rudra-Bejart in Lausanne. He has danced with Bejart Ballet Lausanne, Ballet Dortmund and Aalto Ballett Theater Essen, both in Germany. He is now studying a Master of Arts Tanzwissenchaft at the Hochschule fuer Musik und Tanz in Cologne. Photo is by Danni Willems.